You’ll get a warm welcome from our bicycle hire team and cycle safe in the knowledge that you could not be on a better bike. Before you depart on your adventure we adjust your bike for size and given a safety briefing. Are you new to Bournemouth? On holiday, studying or just day-visiting? Well, here’s a fabulous idea, one that offers you a really great value-for-money opportunity to see more of the town and surrounding countryside. We are located on the West Cliff, five minutes from the Town Centre and Bournemouth Pier. 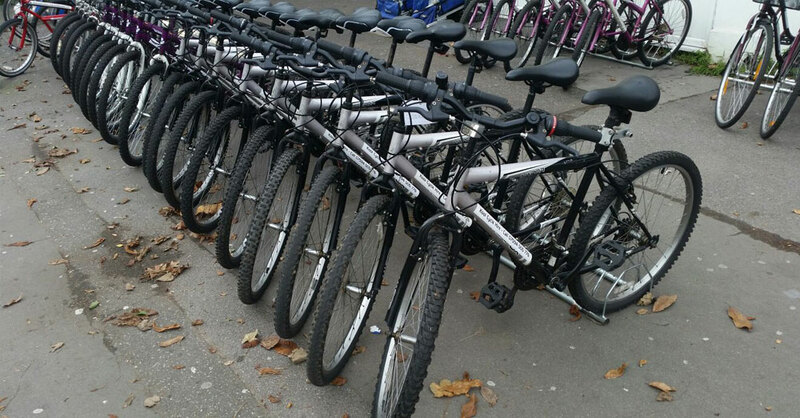 Kool Cycles holds a large stock of well-maintained, modern bicycles of various frame sizes, available for hire at reasonable rates. Simply ideal for singles, couples, families or groups who want to explore that bit more of the area and have great fun in the process. Why not check out this opportunity to see more of this beautiful part of the Dorset coast and get down to Kool Cycles today! Kool Cycles is open 9am - 5pm, seven days a week. Hire includes helmet and lock with all cycles. Mountain Bikes, Dutch Amsterdammers, Children's Bikes, American Beach Cruisers, Tandems, Tag Alongs, Buggies.